Our Hot Springs office opened in February, 2013. The client base we serve from this office represents the culture that makes up the surrounding community in which we operate: individuals, estates & trusts, and medical professionals. Luebben & Associates is a high profile firm that was established by Oscar Luebben in 1952. In 1962 his son, William “Bill”, joined the firm and together they built a strong reputation within the community. Most of the firm’s clients consisted of fellow church members and friends that they had met over their many years in Hot Springs. Their clients have been coming to them since the firm opened, and have had their family trusts, estates, and foundations handled with care by Oscar and Bill Luebben and their loyal staff. Oscar passed away in 1987 and Bill continued to serve their clients. Not long before Bill’s passing in 2012 he met Mr. Leek and was making arrangements to turn his responsibilities over to Leek & Associates, PLLC. Ed Hogaboom began building his practice in 1986. He spent the next 27 years serving his clients he knew as classmates, church members and comrades he served with in the U.S. Navy. After Ed’s passing in September, 2013, we were able to acquire his practice and staff. 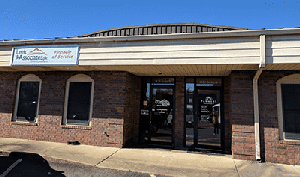 You can find the merging of these two well established firms at 1820 Central Avenue or call them at (501) 321-1040.